A recent visit to West Virginia has me excited about Ramp Season! Ramps are in, Ramps are cool, Ramps are in season. If you have never had a Ramp, a Wild Ramp, Allium tricoccum is a type of wild onion, mainly found in the Eastern U.S. Ramps are also known as wild leek, wood leek, wild garlic. Food writer Josh Ozersky said of the Ramp phenomenon, "The Church of the Ramp is one of the fastest-growing denominations in the religion of seasonality"(Time Magazine, April 13, 2010) Ramps are typically found growing in patches in rich, moist deciduous forests, of North Georgia, Tennessee and north to Canada, and as far west to Missouri and Minnesota. Fresh Ramps getting a bath! If you live, as I do, in a area of the USA where you cannot gather ramps, you have some options, several online dealers will ship ramps direct to your door, I have found the folks at www.wildwestvirginiaramps.com ship quality ramps that arrive in good shape. Wild Ramp recipes are abundant on-line, so just do a quick search and you can find plenty of things to do with your ramps, I have made pickled ramps, dried ramps, ramp jelly, ramp pesto, fried ramps and used in stir fry and soups. Use as you would any wild onion. Blend in a blender 1 ½ cups of ramps, leaves and bulbs. You can use up to 2 to 2 ½ cups of pepper if you want. Mike Krebill's new book, The SCOUT'S GUIDE TO WILD EDIBLES is now available on Amazon and from St. Lynns Press. I will review once I get a copy, but here is a link to a review in Sierra Magazine. Eating Pine in the Wild West! Pinus edulis, the pinyon pine is the state tree of New Mexico. On a recent trip to New Mexico I had the opportunity to gather the nuts from this extraordinary wild edible. This species of Pine is found in New Mexico, extreme West Texas, Utah, Colorado, Arizona. Pinyon is a small pine and is often know as the Colorado Pinyon or two needle pinyon. The common blue violet, Viola papilionacea, is found throughout the eastern U.S. This beautiful little wildflower, when in bloom, will be found often by the thousands, spread in fields, in woods, by flowing creeks and streams. Euell Gibbons called this healthy little wildflower, "nature's vitamin pill" (Stalking the Healthful Herbs). In fact he had it analyzed and found that 1/2 cup of violet leaves contained as much vitamin C as 4 oranges. Violet leaves can be eaten raw in salads or cooked as a green. Similar to spinach in flavor. The extract made from the flowers can be used to make syrup and jelly. To prepare the extract fill a jar with flowers, cover with boiling water, seep for 12-24 hours and then strain. 1 cup of extract and two cups of sugar, along with juice from 1/2 a lemon are boiled for a few minutes, once cooled, a great syrup for pancakes or waffles. When you add the lemon juice the violet extract changes turns reddish, indicating the addition of an acid. Here is what happens when you add a acid to the violet extract. I will be offering two classes at the Birmingham Audubon Society, Audubon Mountain Workshop in Mentone, Alabama this year. This is a introduction to Edible Wild Plants. Participants will be guided through the identification and use of many of the common edible wild plants found in the US. What to expect: Classroom, Field Experience with Moderate Hiking, and lots of eating of Wild Foods! Preserving Wild Foods: A Foragers guide to Curing, Canning, Smoking, Drying, Pickling & Fermenting. Participants will learn some basic principles of preserving wild food. Expect a hands on experience with lots of tasty items! What to expect: This will be a hands on indoor workshop. Each participant will learn some basic techniques to get them started at home. Did you know you can tap any species of Maple (Acer) typically the sugar maple is used, but all maples, even in the South can be tapped. Maples were at one time the dominant source of sugar in the United States. In fact it was almost the only source of sugar with the exception of a limited use of hickories, sycamores, walnuts, and birches. These trees could be tapped for a sugary sap but the sugar content was very low. All species of maple can be tapped. The sugar content in maple sap is almost the same in all of the maples except for the sugar maple, Acer saccarum, which has a slightly higher sugar content. Maples can be tapped from January through April. You tap the maple on when you have very cold nights and days that warm up to above freezing. The sap is obtained by drilling a hole in the tree, usually half a inch to one inch in diameter, and inserting a spike of some sort into the hole. Maple sap will then begin to drip through the spike and can be collected in containers hanging from the tree. Once the sap is collected you boil it down till it thickens. It takes 30 to 40 gallons of sap to make one gallon of syrup. It can be a lot of work but it is a very satisfying experience. Native Americans primarly relied on maple as a source for sugar. It was a difficult process with primitive tools but they were able to gather fairly large quanities of syrup and sugar. It was espcially difficult to boil the sap down because of the inadequate containers. They would boil the sap by immersing hot stones into hide or bark containers filled with sap. In the northern regions a average village would have 900 taps in trees (Elias and Dykeman 1982: 24). Several hundred pounds of sugar could be optained in this way. Sugaring was very widespread and most tribes considering sugaring to be a great social event which involved the whole family. Cream together margarine, sugar and egg. Sift together flour, baking powder, cinnamon, ginger, and salt. Blend dry ingredients into first mixture. Add to it the persimmon pulp, vanilla, and nuts. Mix well. Pour Into a greased loaf pan and bake at 350 degrees for 45-50 minutes. 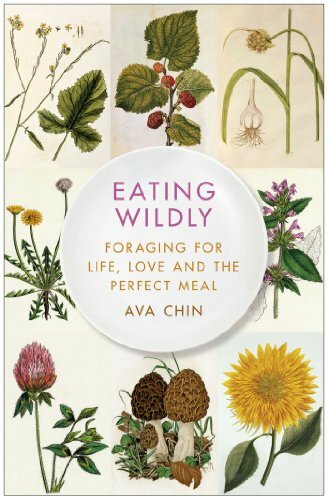 A great new book came out this summer, Eating Wildly: Foraging for Life, Love and the Perfect meal. 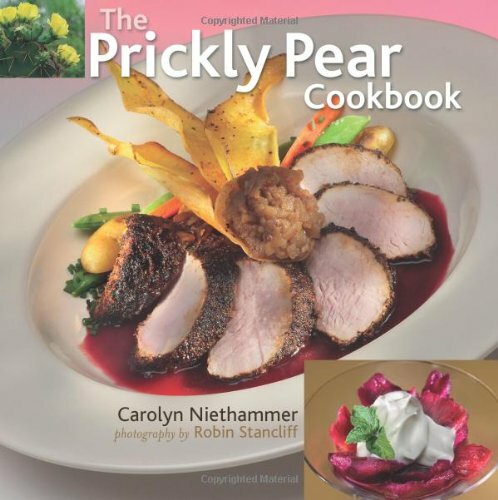 This book is by Ava Chin, who wrote the Urban Forager blog for the New York Times. I highly recommend you pick up a copy. Here is a photo of Lamb's Quarters I took a few years back, if you have not tried this wild edible you should do so soon! 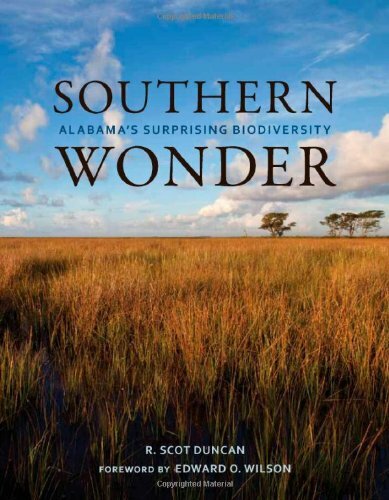 Here is a nice video from the Southern Foodways Alliance on Pokeweed, they have a nice collection of films on Southern Food and Culture, www.southernfoodways.org, the website has this to say about their films, “Film Bites” are very short films by Joe York. Check back often for new installments. " For those who have not tried Poke, also know as pokeweed, poke salad, and poke salet, it is commonly used in the South, as explained in the video. Pokeweed, Phytolacca americana, contains phytolaccin which in large doses is poisonous. The poison is removed upon cooking. Prickly pears are a type of cactus found growing from in the American west all the way to the deep south.. 0. compressa is the dominate species in the southeast. Two other species, 0. drummondi and 0. vulgaxis, can occasionally be found in the coastal plain region of the southeast. Prickly pears usually grow in sandy or rocky soil. Prickly pears have a delicious fruit that is outstanding in jellies and jams. Be very careful when gathering this fruit because the prickly pear is covered with tiny bristles (it's called prickly pear for a reason). Its a good idea to wear gloves when gathering the fruit. The dried seeds can be ground up and used for flour. Even the cactus pads of the prickly pear can be eaten. The pads are often found in latino or speciality store they will be labeled as nopal or nopales. They are sometimes found with the bristles removed, but they can be easily prepared by simply taking a knife, scrape the bristles off, cut all around the margin of the pad, then scrub with a brush. The pads can then be cut up, boiled in water for 10-15 minutes and served as a side dish, add to tacos or fajitas. To prepare the fruit, cut off each end and peel. Take the fruit and then puree in a blender or food processor, strain out the sends and use the thick juice in your favorite jelly or jam recipe. You can be really hip and use the juice in your favorite margarita recipe, prickly pear margaritas are all the rage! The Prickly Pear pictured at the top of this post is in a container, it was gathered in Mentone, Alabama over 20 years ago and has lived in Maine, Texas and Alabama. It blooms each year and produces tons of fruit. You can start your prickly pear in a container, simply take a pad, stick it in the soil and it will root and start growing. They are very hardy and this one even survived the extreme winters of Maine, although sometimes I would feel sorry for it and put it in the garage! The beautiful flower of the Opuntia! This Prickly Pear was found near Cimarron, New Mexico, very prickly! This delightful wild fruit is from the red mulberry, Morus rubra. Where we live it ripens late May, early June. Delicious raw of ground or picked straight from tree. Less tart than blackberry, wonderful when used in pies, muffins, or to make jellies and jams. When ripe, you need to gather quickly, you are competing with all types of birds for this berry! —Edward O. Wilson, Pulitzer Prize–winning author of The Social Conquest of Earth. Get this book now, you will not be disappointed.